Spring is the time of year when the thoughts of bees turn to swarming. Most people think of swarms of bees as something to be feared – images of nasty swarms swooping from the skies, terrorizing women and children. Oops, sorry, that’s my fear of Congress. Swarming is actually reproduction in the bee world. When a hive feels that it’s getting too cramped in it’s current space and needs to expand beyond that, it starts getting into swarm mode. First, they start building queen cells to raise a new queen. When the cells are almost ripe with a new queen, the old queen and about half the workers take off in a swarm to find a new, more spacious home. Back in the hive, a new queen will then emerge. One of her first tasks is to kill off any of the other developing queens so she can be the sole ruler of the hive. It’s such a brutal society, but it works. Swarms are relatively docile for the most part. Since it’s primary purpose is to find a new home, the bees are focused on that (and not terrorizing women and children). The workers filled up their bellies with honey for the journey and are generally slow moving. You’ve probably seen pictures (or witnessed) a swarm of bees, clustered somewhere on a branch or on a fence. These are like gold to a beekeeper – it’s free bees for the one that gets to capture the swarm. If you see a swarm, don’t be a-scared – call your local beekeeper to come get them. For the poor beekeeper who’s hive swarmed, it’s a loss though. They just lost a bunch of bees and there’s no guarantee that the new queen will get fertilized and be productive. 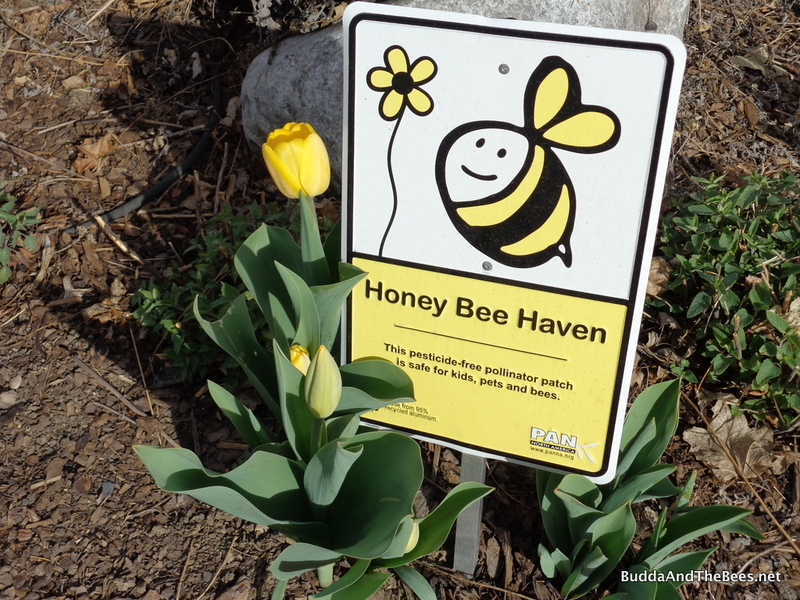 Also, it’s a break in the brood cycle so there will be no new bees for a while to bring in nectar and pollen. So in the springtime, a cautious beekeeper looks for the signs of swarming – particularly queen cells being built and populated. If a beekeeper finds queen cells, they have a few options to try to mitigate the swarming urge. First, they can expand the room that they bees have to live in. Also, they can do a split – making two hives out of one which is the basic goal of swarming. Essentially, you are giving the bees a new home so they don’t have to go off looking on their own. I’ve been looking through the window in my remaining hive and have noticed that there are lots of bees and they seem to be getting a little cramped. I decided to do an inspection this weekend and see if they are looking to swarm and give them a little more room to expand in any case. As usual, I forgot to take pictures while I was in the hive. That’s pretty typical in most of my life – no pictures from kids birthday parties, graduations, etc so why should the bees be any different? 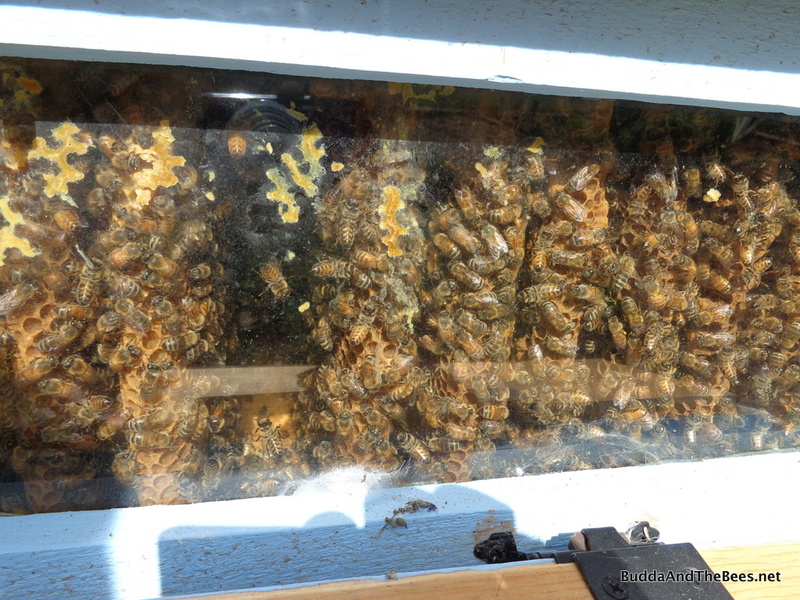 We found the queen as we were putting the hive back together – she was in the back on bar 10, but she looked plump and judging from the amout of brood, she’s been laying like crazy! I moved the follower board back a ways and added some empty combs up front. 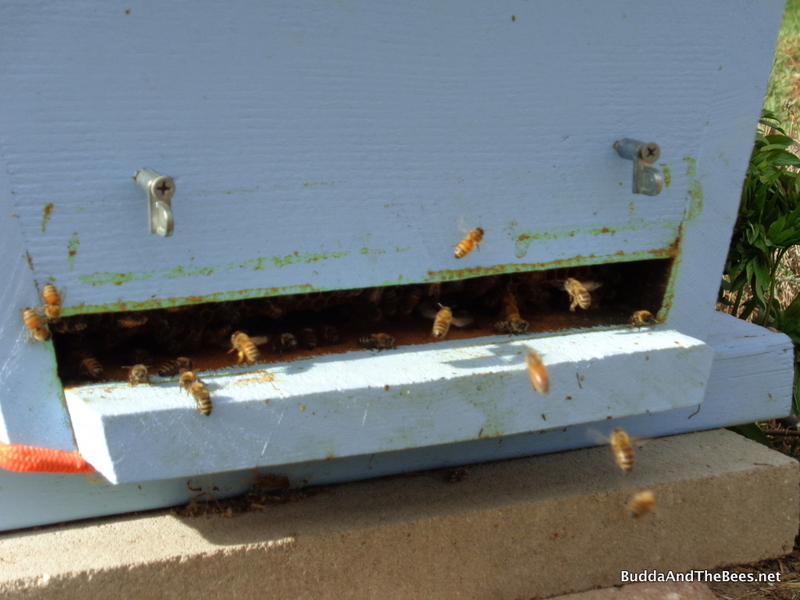 The girls have been bringing in pollen like crazy – in fact one comb in the brood area was solid pollen. I also removed the entrance reducer. Our nights are still below freezing on occasion and we’ll probably still get snow, but they seem to be a robust hive, so I think they can keep warm and fend off any potential robbers. 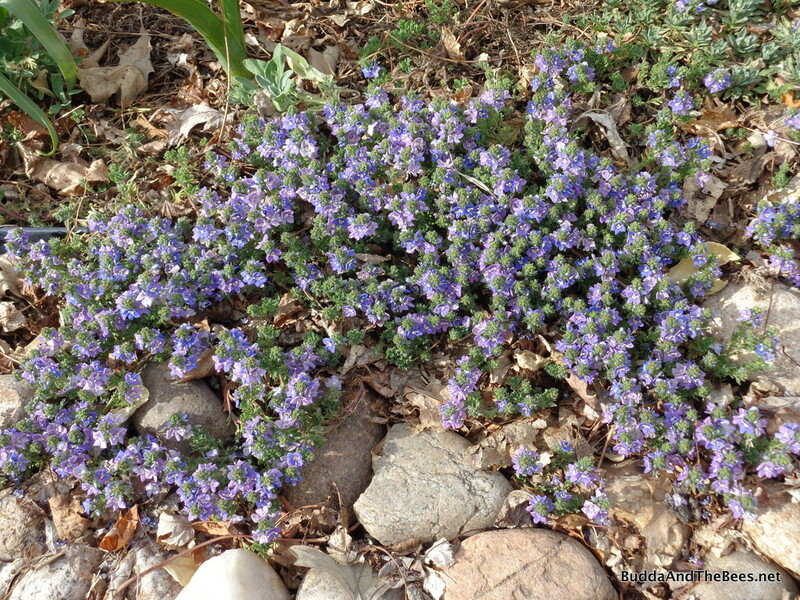 Spring is in full swing in Colorado – a little early and a little drier than I’d like. The tulips are blooming now as well as the crab apple trees. I miss my flowering crab this year, but I’m hoping that the linden will be providing nectar to my bees before I know it. I’ll be getting some new bees in a couple of weeks to repopulate BnB1. I spent today building 2 new hives. One will go in a nearby yard of a friend of Diana’s and the other will be a “just in case” hive. I might still have a chance to split BnB1 and if I do, our neighbors have offered a spot out in their yard. Who knows, I may even get to capture a swarm if I’m lucky! Your bees look fantastic! How exciting that they’re building drone comb. As you said, that’s a good sign of a strong hive. It’s so weird to hear that you have tulips and are still thinking that it might snow. That is some seriously wacky weather you have. Meanwhile, I’m sitting in northern Vermont. The lakes are thawing around the edges, but the centers are still solid ice. Also, I’ve noticed places where there are still 6-12″ of snow. Brrr. I don’t know how beekeepers here do it. The snow started this morning, so I put the entrance reducer back on the hive to help them keep warm. If we are lucky, it will change over to rain and we can really use the moisture. But if the cold air stays in, we might get quite a dumping! Up in the foothills, they might get a couple of feet. Sounds like CT! I just got word that my new bees for BnB1 will be here on the 25th. In the two years I’ve installed bees at the end of April and beginning of May, it snowed within a week of the installation. I’m forecasting that again. Before we moved here, we lived in the Northeast Kingdom of VT and our last year there was cold and snowy like this year. The nice thing about snow in CO is that it usually doesn’t stay for too long and the temperatures moderate in a few days. I can’t say I miss the long winters of VT, but there is always the anticipation of spring and the maple syrup flow, ice breakup on Joe’s Pond and black fly season! 😉 And, like you, I don’t know how bees survive up there! LOL! Not like Connecticut! Don’t curse us! 🙂 Actually, yesterday, was a lovely, sunny 70! The night time temps have been in the 40s, so fingers crossed, I think our risk of snow is over!!! We were up at Jay Peak last week, and I have learned that I absolutely love Vermont. The Northeast Kingdom is just gorgeous. My husband was laughing because I started looking at all the real estate listings. Not sure if I’d like it as much in winter, but I could definitely live there from spring to autumn. The wide open spaces are just perfect. We ended up with a few inches of snow, but then it turned to rain and we got over 2″ of liquid – badly needed moisture for the gardens. A friend lives just west of Boulder and he got 2 feet of snow – he’s still digging out! I’m glad I put the entrance reducer back on because it’s been chilly. My grandparents had a summer house on a lake in the NEK and I spent most summers up there. That’s why I went to Lyndon State College for my meteorology degree, and I went back to work at LSC after graduate school. It is a beautiful place, but a tough place to make a living (and to survive the winter). But for a summer retreat spot, it’s a piece of heaven. The fall colors are unrivaled. The owner of Jay Peak is supporting a redevelopment effort up there that should be good if it pans out so I’ll bet real estate prices are going to start rising (buy now! ;-)). It includes a partnership with Burke Mountain which is a great place to ski, but not many people go there. We lived in East Burke at the base of the mountain for a time which is a quaint New England village. That area holds a special place in my heart.